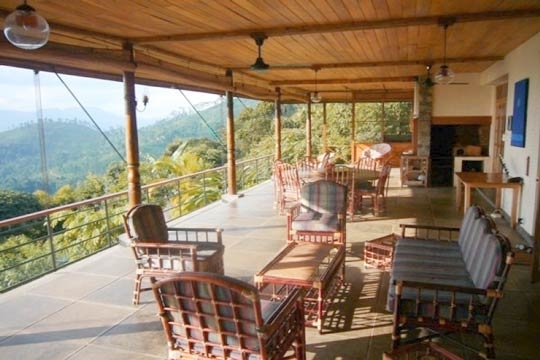 The stunning panoramic views from the veranda spanning the front of Rangala House extend westwards to the bowl of forested hills that surround the city of Kandy. Ahead lie miles of plantations and wooded hills all folded in together and interspersed with tiny villages, tea factories and pockets of agriculture. Roads and paths twist and turn, winding steeply upwards. At dusk the sun sets magically behind the distant hills in vivid yellows and oranges; at dawn, mist blankets the valley waiting for the sun to burn it away. 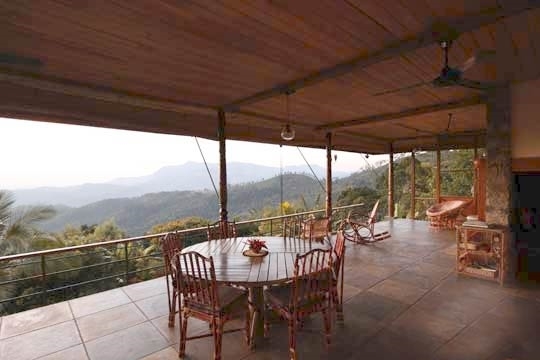 Hundreds of species of birds, wild boar, porcupine, and even the odd mongoose can be spied with the telescope housed on this view-blessed front veranda that’s furnished generously with tables and chairs for serenely relaxing and dining. 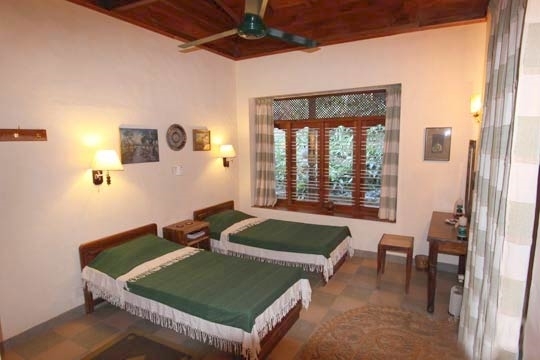 This old tea plantation bungalow has been lovingly restored to create a homely and charming three-bedroom (all ensuite) homestay. 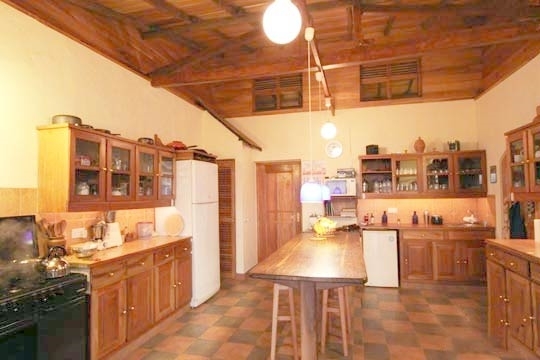 Wood ceilings and furniture, lazy turning fans and tiled floors give a wonderful rustic country feel. 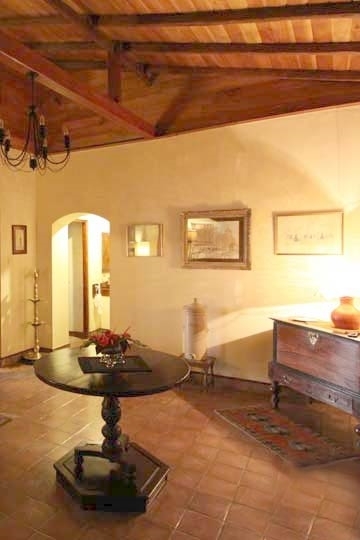 The large stone grate is home to a roaring fire on cool nights which can take the edge off the air both inside the spacious lounge or out on the open veranda. Brimming with palms and gingers, the manicured garden leads down from the house to a shady pool, which is an excellent place to cool off in the heat of the day or after an energetic hike. Surrounding Rangala House are the Duckwari tea plantations interwoven with roads and tracks to explore; the more adventurous can trek in the Knuckles Nature Reserve a short drive away. A full complement of six staff are on hand to ensure your stay is comfortable and can be called upon to arrange anything from a picnic to slip into your rucksack to a fresh juice or an ice cold beer. A modern European kitchen (with a few local touches) turns out some excellent western and Sri Lankan cuisine. Do try the home-made sun dried tomatoes. Rangala’s owner Anthony, and his staff team are well connected in the village so a visit to one of the local houses can be arranged for some authentic local food – beware of the chillies! 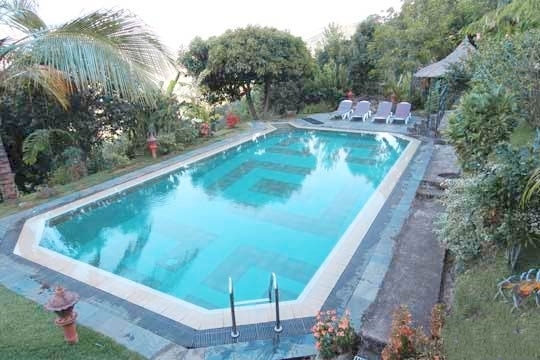 A tranquil setting, stunning views and an opportunity to hike some lovely hills and tea plantations. 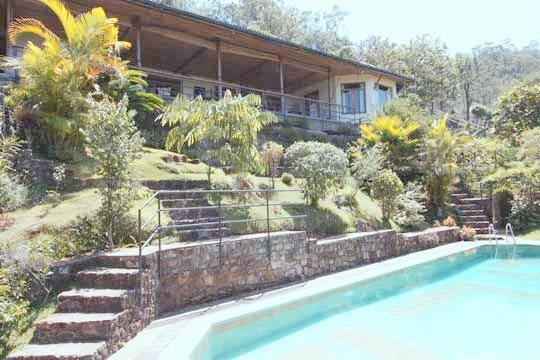 Rangala House is surrounded by tea plantations, small pockets of woodland and little else. Nestling on the side of the road which winds up to the Knuckle Mountains, the house is some 300m up from the tiny village of Bobebila and some 20 minutes further up the hill is Rangala itself. 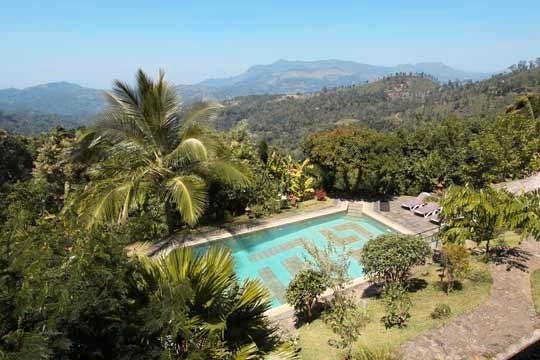 Kandy, 34 kilometres but a good hour drive away, is the nearest major city. Apart from the odd isolated local houses and plantation bungalows Rangala House stands in splendid isolation with few neighbours. Some 40 minutes down the hill is Victoria Reservoir, home to the Victoria Golf Course. Rangala House backs onto the steep road which heads up into the Knuckle Mountains, not a busy route, but one that’s been recently upgraded. From the road you head down stone steps to the front door of the main building which leads to a large entrance hall. Off the hall are the second bedroom, a well equipped modern European style kitchen and a spacious, comfortable lounge with an indoor dining area for six, a piano (Anthony confesses to knowing a few popular pub tunes) and a large stone fireplace. Each of the three rooms have wide French doors which open out onto the 16m terrace running almost the full length of the house, with superb views over the surrounding hills and valleys. Two bedrooms lead off from the far side of the living room, one has garden views at the back of the house whilst the main bedroom has a large bay window to maximise enjoyment of the views. All the bedrooms in the main building are twin bedded (can be made into doubles), with simple furnishings, fans (no air conditioning needed this high up) and ensuite shower rooms. 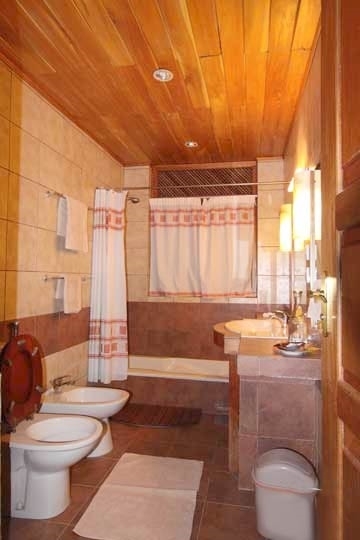 The main bedroom also has a small bath tub. The terrace itself is furnished with a casual lounge suite, circular dining table for six and some easy chairs for relaxing and enjoying the panoramas. 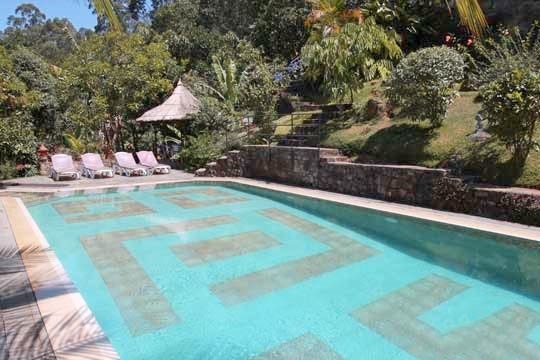 At either end of the terrace, steps lead down to a generous pool bedded into the gardens. 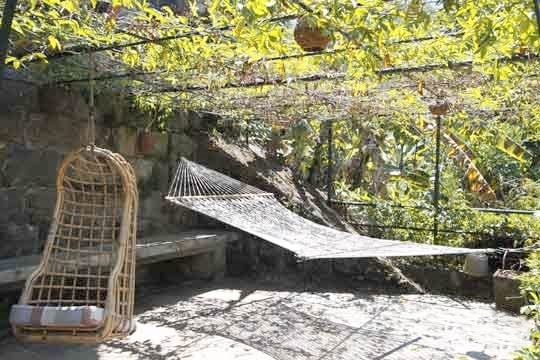 At one end is a shaded pretty gazebo – a perfect place to retreat from the midday sun. Slightly away from the main villa is the Studio, a new addition completed in late 2011. The Studio, as its name suggests, is adorned with drawings, paintings and photographs by Sri Lankan artists, all of which are available to buy. 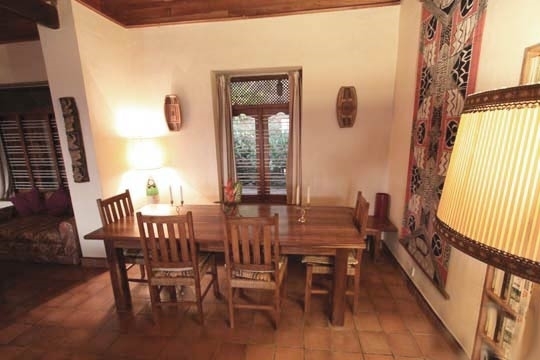 It is furnished with two double beds (one of which is reached up a ladder and can be split into twins), a lounge area, a satellite TV (with DVD player on request), and its own valley-facing balcony . 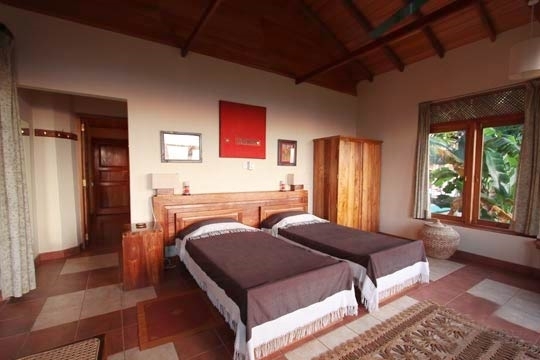 Lower rates are sometimes available for this villa if less rooms will be used. Contact Customer Service for details. Upon arrival at the villa you may be required to pay a security deposit. The security deposit, if applicable, will be returned to you prior to departure less any extra charges or costs for accidental damage to the property. The villa accepts payment by cash only. 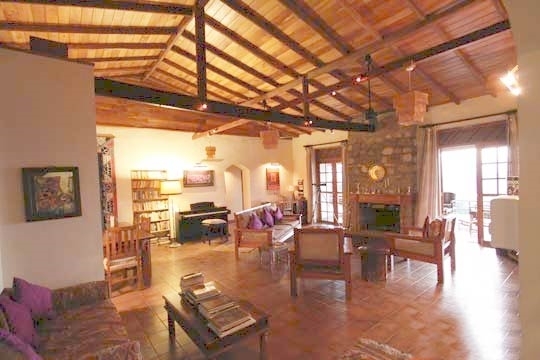 5 bedroom villa located in Kandy Region, Hill Country. Ideal for Body and soul, Bring the relatives, Kid friendly, Going for golf, Fair share for groups, The great outdoors, Room with a view.